To guide our clients to the best decisions, we provide the best information. Using multiple proprietary sources, we capture and analyze the most recent market data from macro to granular street level detail. 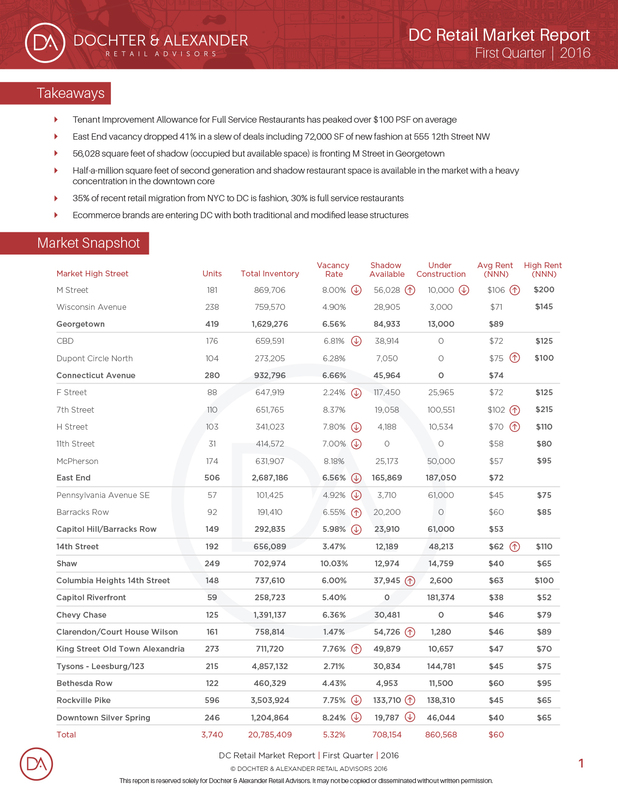 View our most recent market report below or if you’re looking for a deeper dive, request a custom report or custom mapping. The latest market report offers market insights and tracks key submarkets in the Washington DC region. Market statistics, shadow space, taking rents, vacancy, retail under construction, tour activity, restaurant trends, etc. are all highlighted. Thanks for requesting a copy of our Market Report, we'll be in touch soon.